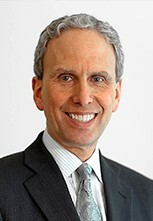 Bob Roth is one of the most experienced and renowned meditation teachers in America. Over the past 40 years, Bob has taught Transcendental Meditation to many thousands of people and authored an authoritative book on the subject, fittingly entitled Transcendental Meditation, which has been translated into 20 languages. Bob currently serves as the CEO of the David Lynch Foundation of Consciousness-Based Education and World Peace, a charitable organization which has brought meditation to over 500,000 inner-city youth in underserved schools in 35 countries, to veterans and their families who suffer from post-traumatic stress, and women and children who are survivors of domestic violence. Bob also directs the Center for Leadership Performance, which is bringing meditation to Fortune 100 companies, government organizations, and nonprofit charities. Bob is the host of the SiriusXM radio show, “Success Without Stress” and has spoken about Transcendental Meditation and its scientific benefits to industry leaders at such gatherings as Google Zeitgeist, Aspen Ideas Festival, and Wisdom2.0.